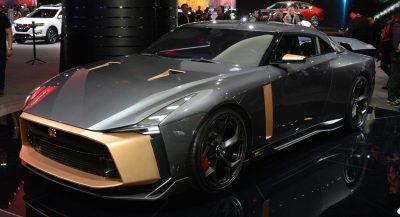 Honda has confirmed that it will be out in force at the Geneva Motor Show this year with its latest production, concept, and racing models. The only world debut to speak of will be the unveiling of the Jazz X-Road, a rugged version of the little hatchback that Americans know as the Fit. Adopting a more off-road appearance, the X-Road model features black plastic moldings around the wheel arches and side sills, with silver-tone reinforcement under the front and rear bumpers. 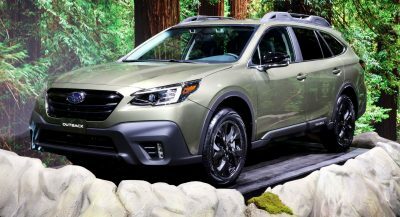 The treatment is not unlike what you might find on, say, a Volvo Cross Country model, but in an entirely different segment. A 1.3-liter engine drives 103 metric horsepower through either a manual or continuously variable transmission to a special set of 16-inch wheels. This will mark the first time the Jazz X-Road will be shown at a motor show anywhere in the world. 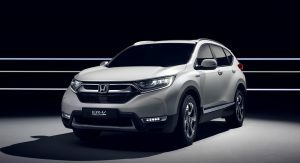 The Japanese automaker has also confirmed that it will showcase the new CR-V at the Swiss expo, bringing hybrid power to the European market for the first time. 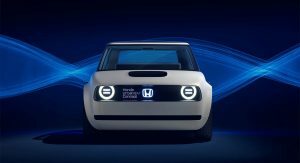 Honda’s most recent show cars will be on display as well, including the Urban EV concept (previously shown in Frankfurt), the Sports EV concept (from the Tokyo Motor Show), and the NeuV technology concept unveiled at CES. 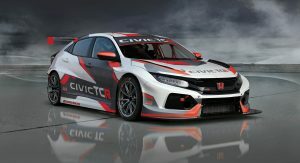 The company’s racing models will also be present, headlined by the new Civic Type R TCR that will compete in the new FIA World Touring Car Cup (abbreviated, for some reason, as WTCR). The NSX GT3 will be on hand as well, along with Honda’s MotoGP, SBK, and Dakar racing bikes. As Fit is the Jazz in Europe (and also in India) and Europeans aren’t that receptive to trying to sell a variant as if it was actually another model, I guess that naming it as Jazz X-Road seems to be a measure that allows to sell the WR-V in Europe without problems. By what I know, WR-V’s ground clearance is 179 mm, against 145 mm of the Fit (I’m talking about the Brazilian spec of these models and there may be some variations). Honda did this by designing a new rear axle that resembles in part the one used in the HR-V. Front caster also changed a bit and these two changes combined resulted in a 20 mm longer wheelbase, as the front axle moved 10 mm front and the new rear axle put the rear wheels 10 mm nearer the rear end of the car. Front and rear track also grew and the WR-V is 40 mm wider than the Fit due to the side moldings on the wheel arches. There’s also a new front subframe that allowed the front arms to put in an adequate angle. As can be seen, the things go beyond simply fitting new springs and shocks. The car itself has a very noticeably good suspension geometry. There were also other changes, like a new steering rack that improved the behavior of the car over the pre-restyling third-gen Fit, a part that was also applied to Brazilian-spec Fit and City after their restyling. It must be pointed that Brazilian-made specs of global cars usually have tougher suspensions than its equivalents that face better roads, meaning that even a BRDM Fit with a ground clearance compatible to what we would see in First World can be riding on springs and shocks different from the ones we would see in other places. It’s just a normal Jazz with additional plastic panels around. Looks hideous. Really no idea why they even made it.